Horror Pain Gore Death Productions signed Massachusetts black/death beasts Soul Remnants and will release their new album “Black And Blood” on October 31 on CD and Digital formats. 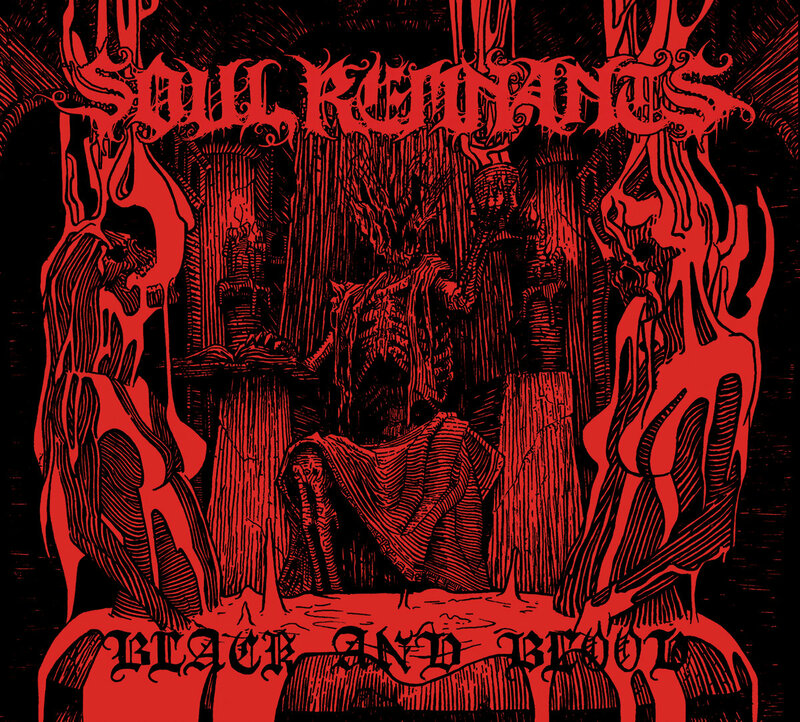 Soul Remnants make their Horror Pain Gore Death Productions debut with their punishing sophomore album “Black And Blood”. Hailing from Massachusetts, Soul Remnant’s journey further into the darkness… revealing the shattered sound of destroyed souls. Following the road of corpses left by legends like Death, Suffocation, Carcass and Deicide, “Black And Blood” is a transformative concoction; thrashing together elements of Scandinavian Black Metal, old school Floridian/brutal Death Metal and unearthly mind searing guitar solos. The end result is an overflowing cauldron of blood, which spews forth pure bone-crushing madness! The release comes housed in a high quality 6 panel digi-pak complete with full lyrics and showcases the stellar “Black And Blood” artwork. For fans of Cannibal Corpse, Carcass, Death, Decapitated, Deicide, Hypocrisy, Monstrosity, Rivers Of Nihil, Slayer, Suffocation and Terrorizer. This entry was posted in METAL and tagged #TheWeldingRoom, #TWRradio, BandCamp, Cannibal Corpse, Compact Disc, Death metal, Deicide, Gore Death Productions, Halloween, Horror Pain Gore Death, Horror Pain Gore Death Productions, Massachusetts, Metal Radio Supremacy, new music, RIVERS OF NIHIL, Scandinavian Black Metal, Soul Remnants, Twitter, YouTube. Bookmark the permalink.